Playing around this might just be impossible. It represents 9 points of damage, making it really difficult to survive if you don’t block, and it heavily swings combat if you do put blockers in front of their creatures. 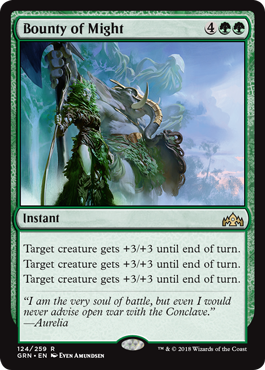 It even has the potential to be great on defense, and overall this is one of the best Overrun-type effects we’ve seen in a while (particularly because your opponent may not even see it coming).